Here’s a statement that will surprise absolutely no one: I really love cheese. I will take the good stuff any which way I can get it and in all varieties, but I’m a sucker for using it in a really fattening cauliflower cheese. It’s comforting, hearty and down right delicious. The recipe I’ve popped together below is not going to make you thin, but it is going to make you really happy. 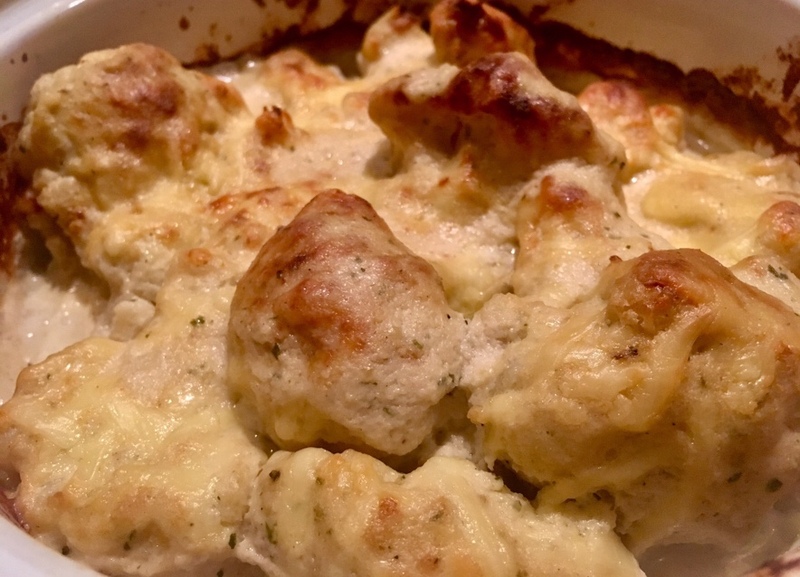 As an added bonus, inspired by a charming coeliac and a delightful diabetic I know, this version of the filthy food side dish is also gluten free and low carb. It feeds 4 hungry people, I think, but don’t worry I’d you have leftovers – they taste amazing the next day. Par boil and drain the florets, placing 4-5 of them in a food processor. Add the milk, cream cheese, Stilton, half the cheddar, garlic powder, seasoning and nutmeg. Blitz until it becomes a smooth thick sauce. 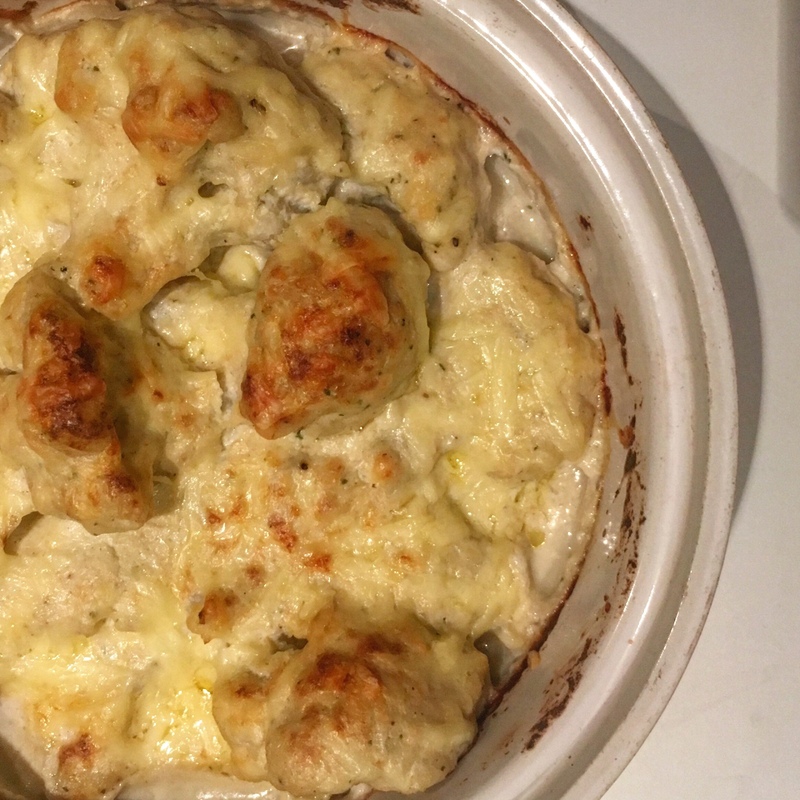 Place the rest of the cauliflower in an oven proof dish. Pour over half the sauce. Stir to coat each piece and then add the rest. Sprinkle over the rest of the the grated cheddar cheese for a crispy top. 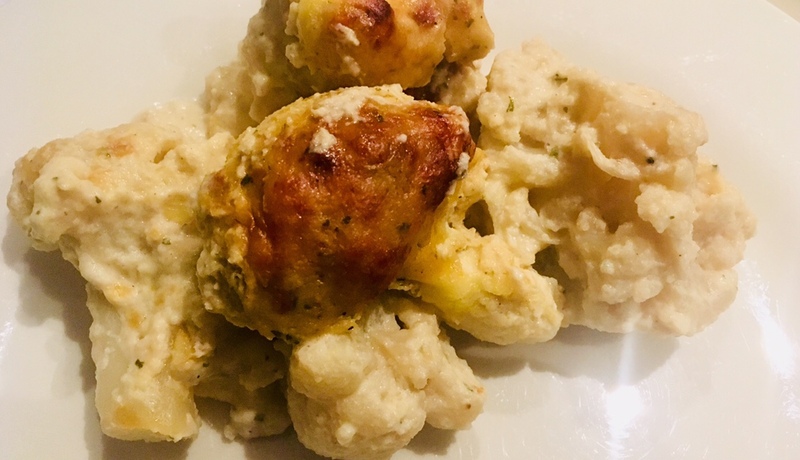 Bake for 30 minutes in a medium heat (I went for 200 degrees; my oven is fan assisted) until it’s bubbling, the top is crisp, and the cauliflower is tender.